The ASU/AWS EduHackathon 2017 was co-organized by Arizona State University, the BUILD-IT Alliance, and Amazon Web Services (AWS). The Hackathon focused on solving real-world problems that are present in Vietnam and many countries around the world. These include but are not limited to traffic control and reduction, e-government services, health care and leveraging open data. The competition was open to students from any of the BUILD-IT academic partner institutions with a team of three to five people from the same institution. This year, EduHackathon attracted 17 teams totaling 68 students from different universities in Vietnam. 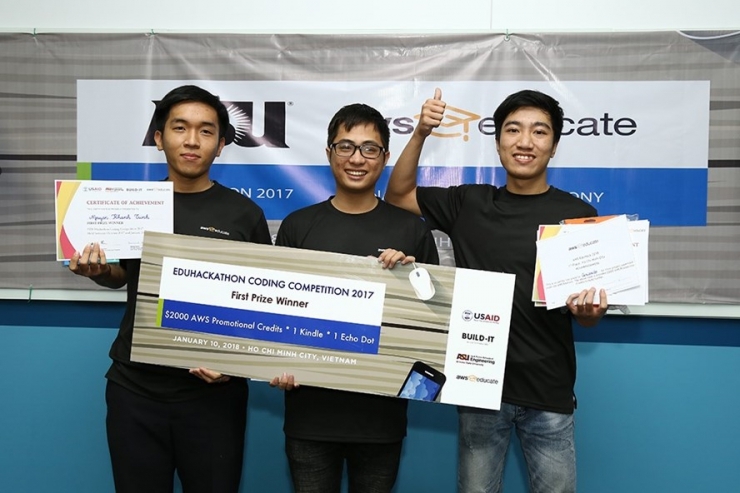 The Curiosity team with five members from Danang Polytechnic University won the first award at EduHackathon 2017 for a finger reader for people who are blind. Nguyen Thai Hoang, leader of the Curiosity team, said that the finger reader helps people who are blind to read documents in normal formats. After the competition, the team will develop the device to read Vietnamese with compact design and longer usage time. The device will be on sale for VND 1 million, the equivalent of $44 USD. Nguyen Thi Thanh Phuong, country director of Arizona State University, said that the institution will support contestants to develop and refine their products with Amazon Echo Bot, Raspberry Pi, pcDuino, as well as provide free access to ASU’s Makerspace in Ho Chi Minh City and Can Tho. Additionally, ASU will help contestants look for venture capital funds to invest and establish startups. The second prize was granted to Vibot from University of Science under the Vietnam National University that features chatbots to provide information to the government. The third prizes went to Puzzle App from University of Science and Smart Traffic from Ho Chi Minh City University of Technology. 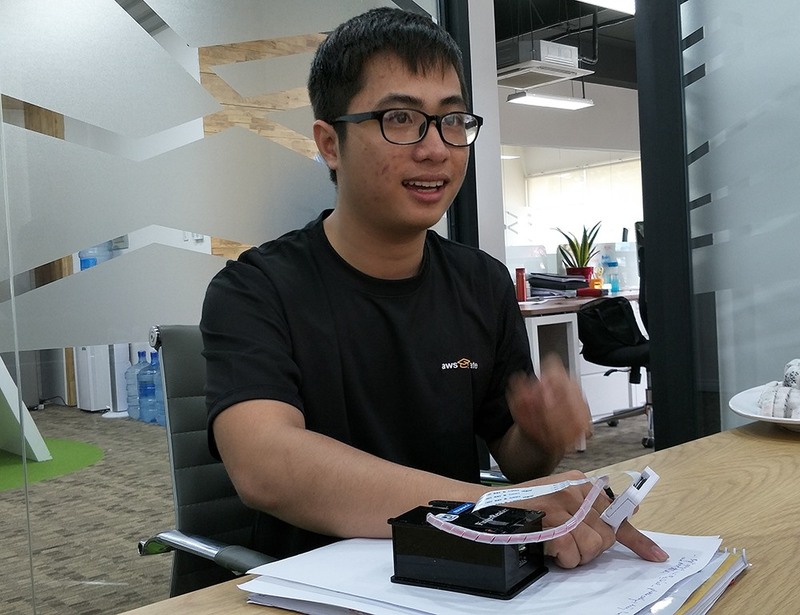 Nguyen Thai Hoang, leader of the Curiosity team, said that the finger reader helps the blind to read documents in normal formats. Sponsored by USAID and led by ASU, BUILD-IT leverages deep and diverse government-industry-academic partners that share a goal of tightly linking science, technology, engineering and mathematics instruction in Vietnamese higher education institutions to the needs and capabilities of industry partners to produce graduates who can lead inclusive, technology-based growth.